For generations, maple wood has been used in the construction of furniture, interior design cabinets and flooring products. It is hard to pass up the natural beauty that this wood offers. The unique, rich color combinations are stunning, not to mention the wood’s glossy finish. 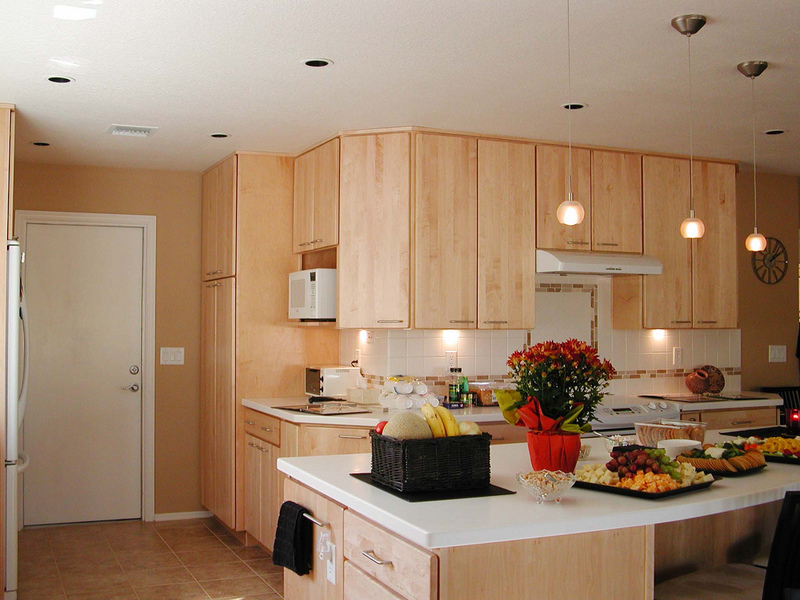 Maple is a surefire choice for anyone looking to spruce up their kitchen’s current design and is surprisingly affordable compared to higher-priced alternatives. Real, natural wood is always a better solution than competing faux products and this wood type continues to rank among the best. As a leading granite and company in Ohio that also specializes in the sale of interior design cabinets, Designer Cabinets, Granite & Tile wholeheartedly recommends maple cabinets and here is why. If you are searching for a wood product that features a fine, consistent grain pattern, look no further. Our maple cabinets each consist of a glass-smooth finish and have a uniform appearance throughout, which can be difficult to find with alternative materials. With maple, you get pure consistency that is perfect for that elegant and stylish designer kitchen. In addition to its smooth grain patterns, maple is highly regarded for its staining capabilities. The wood’s warm shading makes it receive just about any stain product with ease. This includes the popular line of modern near-noir shade styles, which provide the deepest and richest coloring styles. For homeowners who prefer their maple cabinets to be painted instead of stained, you will find no issues in this department either. Thanks to that fine-grained appearance, every paint hue looks absolutely amazing when applied to maple. When it comes to cost, many homeowners mistakenly assume maple is out of their price range, and a number even opt for cheaper birch wood. 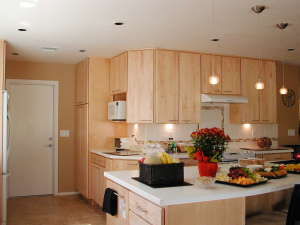 Unfortunately, very few birch cabinets are constructed with the equivalent quality of their maple cabinet counterparts. Spending a little bit more on maple ensures you are getting a tried and true wood product that will stand the test of time, and thanks to the purchasing power that Designer Cabinets, Granite & Tile has in the cabinet industry, you are guaranteed to get a competitive market rate on your Cleveland kitchen cabinets.